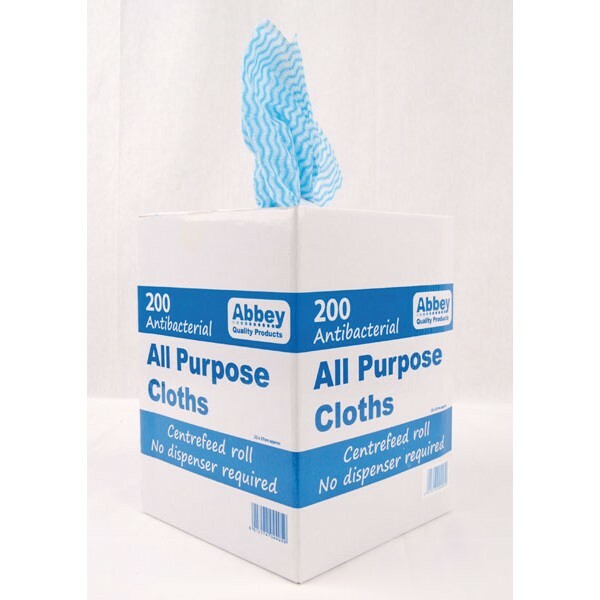 Antibacterial All purpose cloths in a tissue box style dispenser (200 sheets), perforated for easy tear off. Material: 80% Viscose, 20% Polyester, 40gsm. Dimensions: 22cm x 37cm.